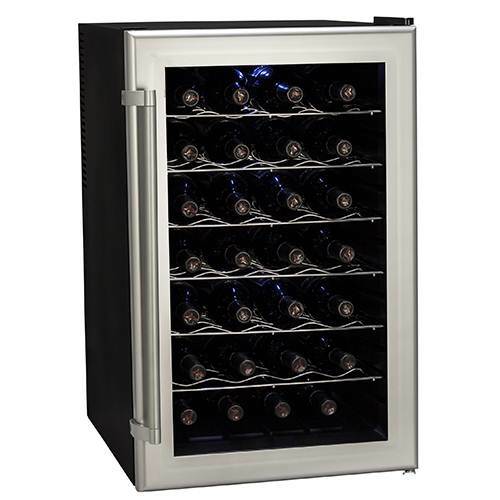 Keep your beloved wine collection on beautiful display. 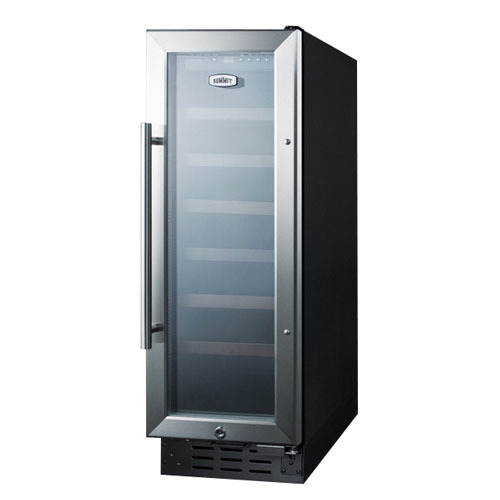 The Danby Silhouette Professional 28-Bottle Built-In Wine Cooler (DWC031D1BSSPR) has a 3.1-cubic foot capacity to hold up to 28 bottles of wine at the perfect temperature with a single cooling zone. 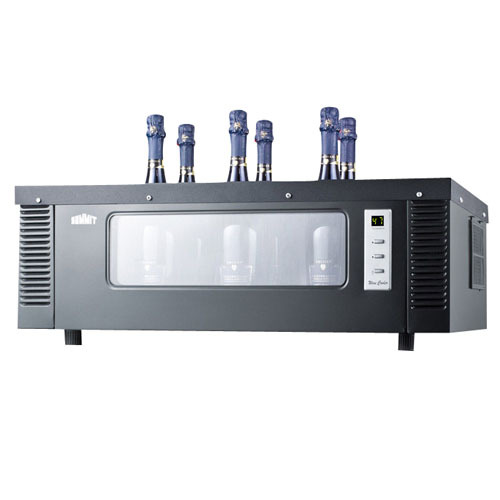 It features digital controls with a bright LED display and audible alarm for large temperature fluctuations. 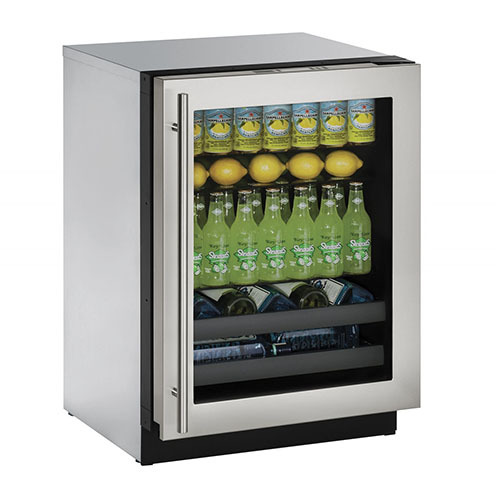 You can easily reverse the swing of the Low-E glass door that's more than efficient. 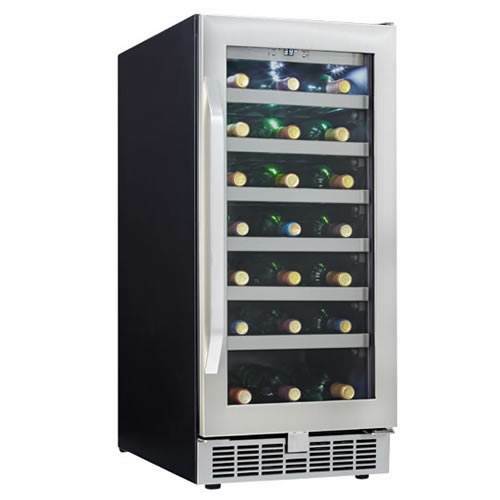 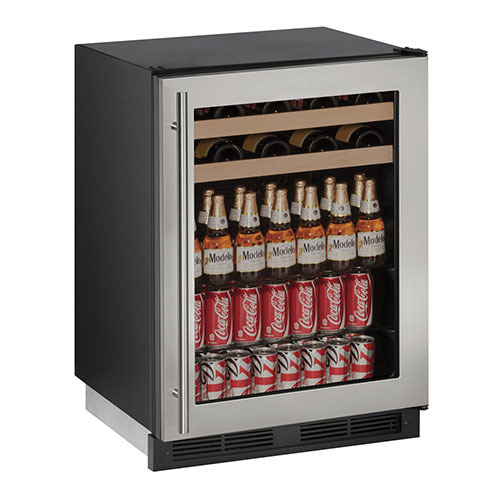 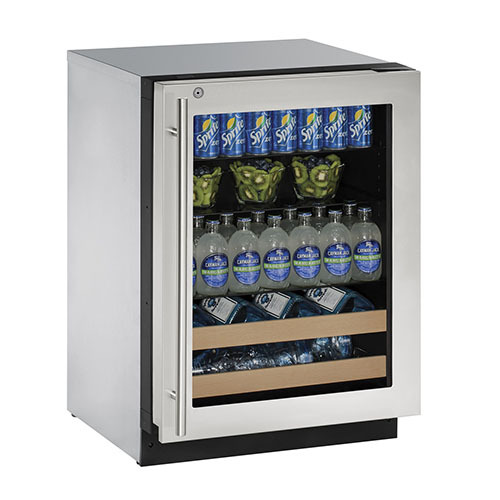 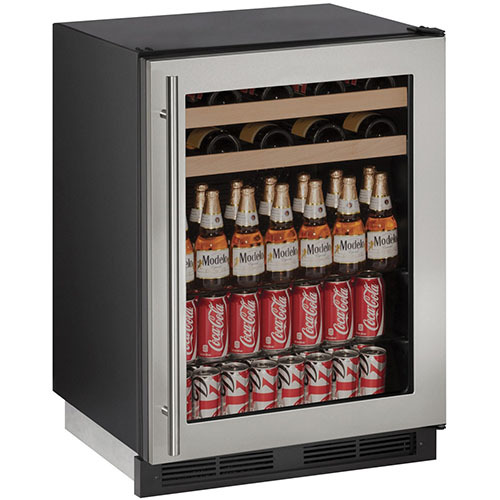 This built-in wine cooler has a sleek stainless steel cabinet with full-integrated installation to save space.Reliable: This wine cooler has a 3.1-cubic foot capacity to hold up to 28 bottles of wine at the perfect temperature with a single cooling zone.Smart: It features digital controls with a bright LED display and audible alarm for large temperature fluctuations.Attractive: With a stainless steel cabinet, this wine cooler has an attractive look and fully-integrated design. 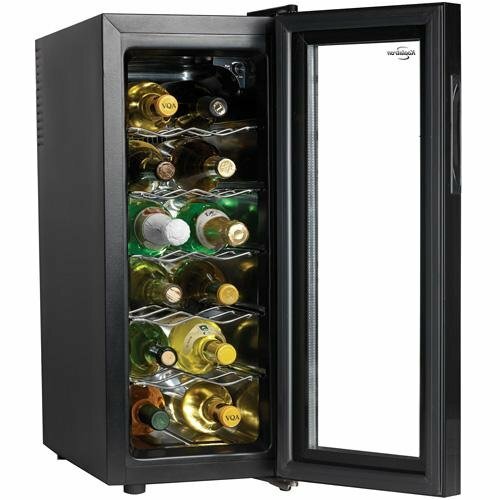 This compact Koolatron Slim 12 Bottle Wine Cooler fits in many places that most other wine coolers won't. 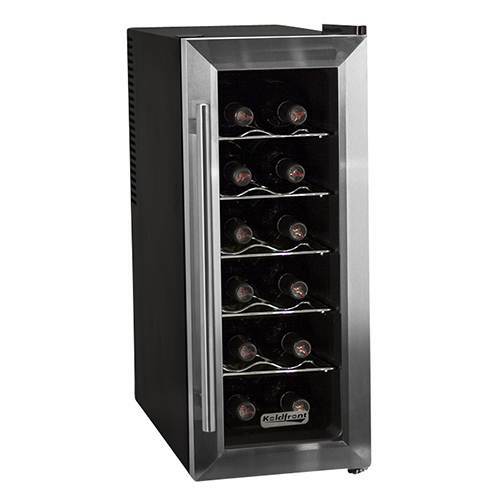 It measures just over 11 inches wide but still manages to hold up to 12 bottles of wine perfectly. 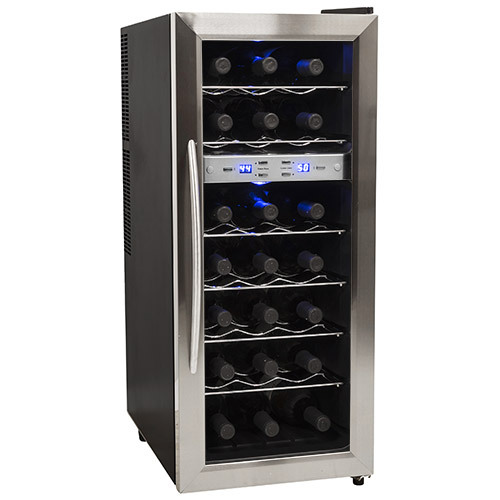 Plus it uses a thermoelectric cooling unit so there's no vibration to disturb the sediment in your fine wines. 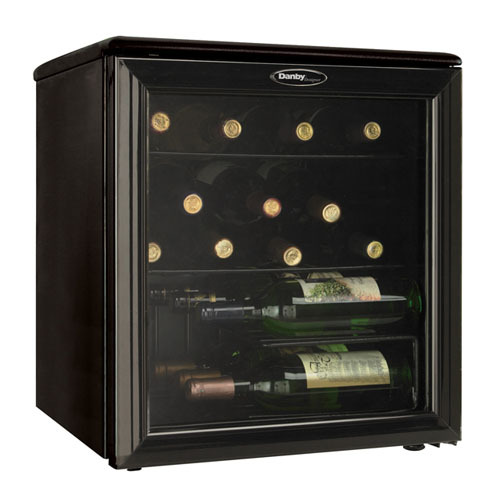 Simple and stylish in classic black this wine cooler offers convenient storage for your favorites. 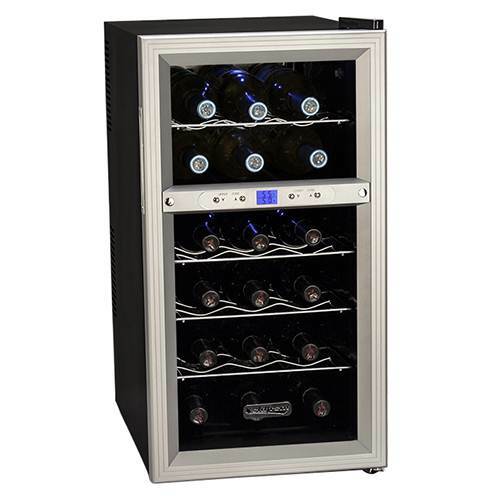 Additional Features:Adjustable thermostatThermoelectric solid-state coolingAuto defrostSoft interior lighting with on/off switchPro-style handleThermopane reversible double tempered glass doorFreestanding designSlide-out chrome shelvesNote: Single Zone wine coolers are intended to store only one type of wine at a time as they have only one temperature zone that can be set to cool either red white or sparkling wine.